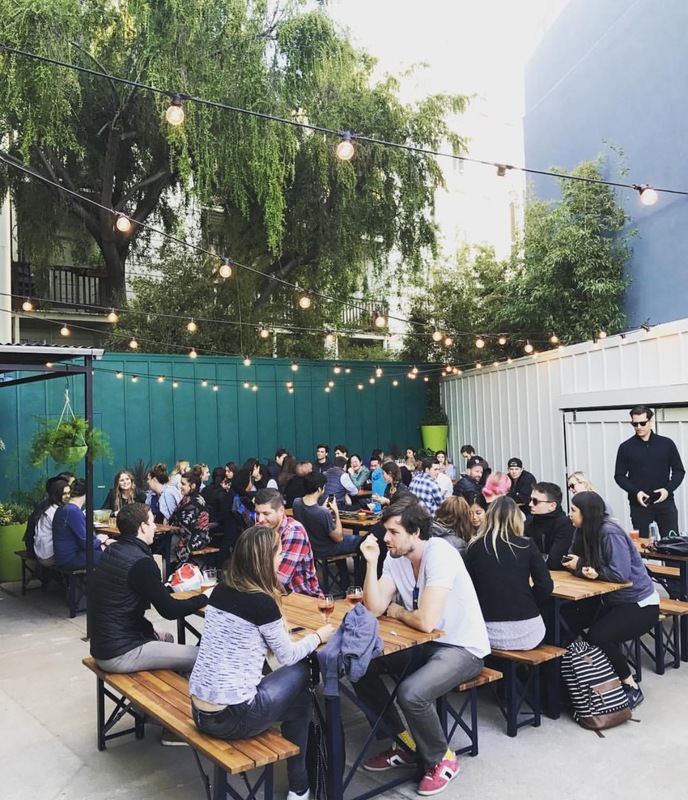 After living in San Francisco for the last 3 years I've come to realize that there is one thing that this city is seriously lacking; restaurants and bars with outdoor seating. 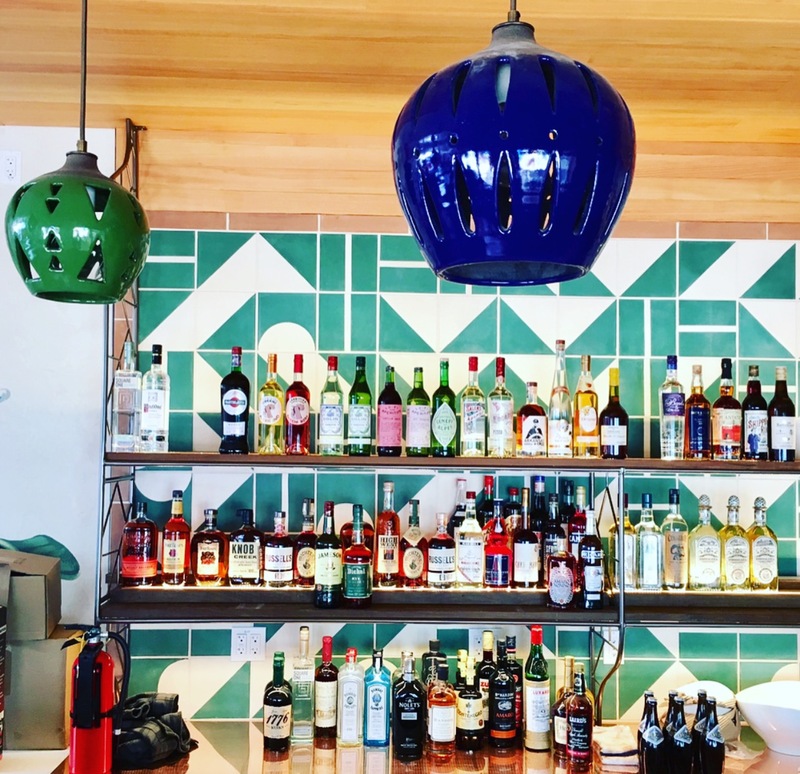 While walking around shopping in Hayes Valley this weekend, my friends and I were excited to stumble upon a new bar that just opened on Friday called Anina. It was beautiful and sunny outside but this spot was surprisingly packed for being open less than 48 hours. Anina has all of the essentials for a trendy SF hotspot; fully equipped with brightly colored speciality cocktails, cute and unique decor, and most importantly, a huge outdoor patio. The only downfall- they don't serve food, BUT they do let you bring in your own food, so naturally we ordered a large pizza from across the street and chowed down while sipping on our craft cocktails. 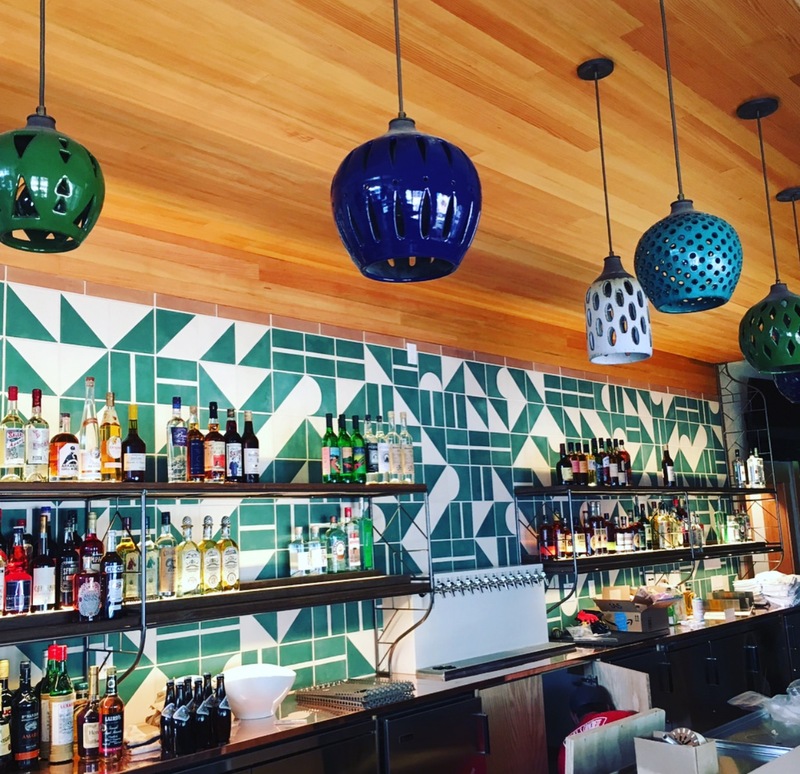 Hayes is quickly becoming the go-to spot for sunny days, and with the outdoor Biergarten right across the street, Anina is a sophisticated addition to this busy neighborhood. Check out their website here and their instagram here! We Ate dinner at a downtown edifice in metropolis referred to as Prospect that i'd list as another one among the nice restaurants in metropolis. I kicked off with the Mission fig dish so for dinner, ordered the Dayboat scallops. Victor Ate the Petaluma organic chicken Users' reviews about restaurants in San Francisco.